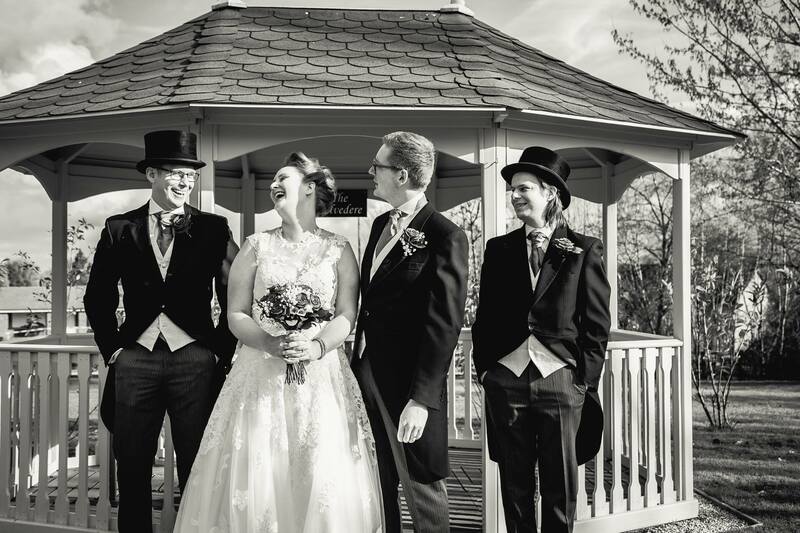 If you don’t know me, I’m not normal, and neither is my husband (although he’s more normal than me) so it only seemed right that our wedding reflected the abnormal people that we are. If you hadn’t noticed, I’m from Yorkshire. Strangely, I didn’t even realise I had an accent until I moved to Manchester. A few weeks ago I got into an argument with some pupils in a Primary School on whether or not I was from England. Apparently, Yorkshire is not a well-known place when you’ve been brought up on the wrong side of the Pennines, but I guess that’s not their fault. Anyway. It’s common in our house to descend into Yorkshire vs Lancashire conversations. I’m very proud of my heritage, and every day I come to terms a little more with marrying a man from Preston. You see we can’t always help who we fall in love with, and the inner turmoil I experienced over this has just made me a stronger and more accepting person. It’s not his fault he’s from Lancashire, at least he now knows that there’s more to life than the barren flat wasteland he once called home. This led us to our wedding colour scheme, which we lovingly referred to as ‘The battle of the roses’. In other words, red and white. I originally wanted to demand that our guests choose a side to fight for on arrival, and after the ceremony, we could have a re-enactment battle outside, only this time preferably with Yorkshire winning, but somehow that bit didn’t make the final cut. We did, however, end up with glorious flower arrangements filled with red and white roses. Our venue dressing and flowers were arranged by Coverstory weddings and events. No, mum. No the Darth Vader theme, the one where they’re in the throne room at the end of A New Hope. Despite not being the firm favourite, I stuck with my original idea and opted to not walk down the aisle to the Imperial March. I don’t do heels. Aside from being 5’10” and not really needing the extra height, I just don’t feel comfortable in them. I do however really like my converse. So I got married in those. And so did he. Bright, red, converse. This one didn’t really have anything to do with us. My mum told me she was giving a speech whether I wanted her too or not (my dad dies when I was 16 so I wasn’t getting a father-of-the-bride speech either). It was by far the best wedding speech I’ve ever seen. I’m not even entirely sure what she said now, but I know it made everyone laugh, and came with an accompanying video of my Christmas when I was four years old. Oh, I also got swag from my husband. How awesome is that! We’re very fortunate to have a friend who makes phenomenal cakes. They look amazing, and they taste delicious. Normally I might feel a bit uncomfortable asking for a non-traditional wedding cake. Perhaps the baker would not understand my needs and play it down, or just not be able to deliver my vision. Enter There for the Baking, and my zombie cake. I believe the brief we provided was simple and elegant white wedding cake, four tiers, including birthday cake, chocolate cake, lemon cake and carrot cake, with a red ribbon around each tier. Sounds pretty standard right? Yeah, until you also add on the cake toppers with weapons (axe for me, Lucille for him), accompanied by our cats, and fending off a horde of zombies who are climbing up the cake to kill us. We decided to inject a little bit of Christmas cheer into our wedding through our favours. We bought some build-your-own Christmas crackers (NEVER again…) and build 150 of them. Each cracker was white with little red bows at either end (remember the colour scheme) and contained a Lego superhero mini figure, mini pack of love heart sweets and a party hat. Remember how I said I loved Christmas? And how we got married in April? Yeah, my first dance was Mariah Carey’s All I want for Christmas is you. Yeah, so, Arran and I have a thing where our favourite TV show EVER is RuPaul’s Drag Race. Plus, some of our family are quite conservative so we thought it would be funny to see if they even figured out it wasn’t a woman. We booked a Drag artist and DJ as the entertainment for the evening, and our guests received a cabaret performance to kick off their evening. Some people were not impressed. We thought it was hilarious. Ok, so maybe not the weirdest thing to ever happen at a wedding, but I still managed to put a bit of a twist on it, and for many of our guests it was the highlight of the evening. You see, 5 minutes of fireworks are great, but it’s a standard display, so one firework after another shoots up into the air followed by oohs and aahs and it’s all very pretty. But you know those super awesome displays, where there’s so much going on you can’t keep up? Well, those are the ones I love, and also the ones I can’t afford. So I had a plan. I asked for the 5-minute package and requested an emphasis on white and red fireworks to keep with our theme, but I asked them to squash them into 3 minutes. Yup. Pack em in and keep em coming. The end result was perfect! After the festivities were well underway, we pretty much snuck off to play Werewolf with friends in the bar where it was quiet. I mean, what better way to start your marriage than with games of lies and deception?